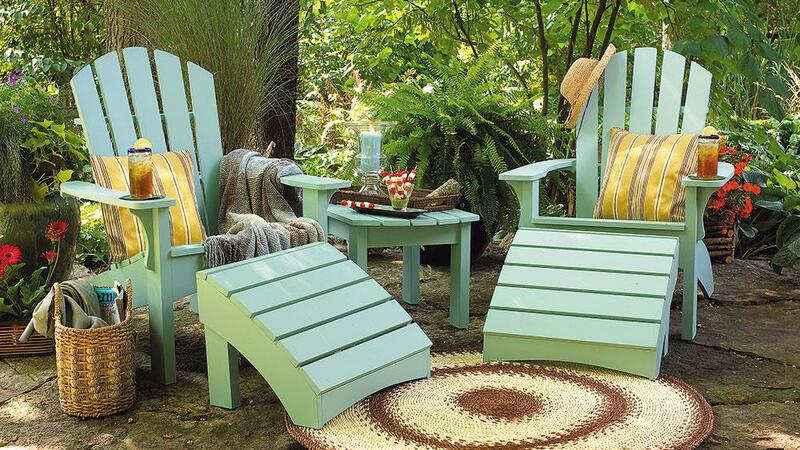 Adirondack chairs are the perfect accessory for any outdoor cabin space. Add a touch of personal flair to your yard by following these DIY instructions. 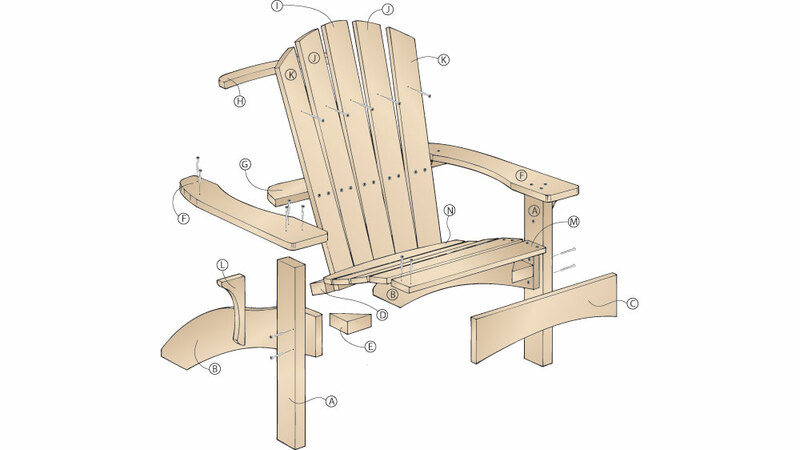 Adirondack chairs are the perfect places to unwind, and this particular chair may be the most comfortable one you’ll ever find. It has a curved back and seat that you can really settle into.The matching ottoman lets you kick up your feet and relax. Add the side table, and your favorite book will always be within reach. Because it’s handmade, you can finish it however you’d like. So give this chair a try — we promise you won’t be disappointed! 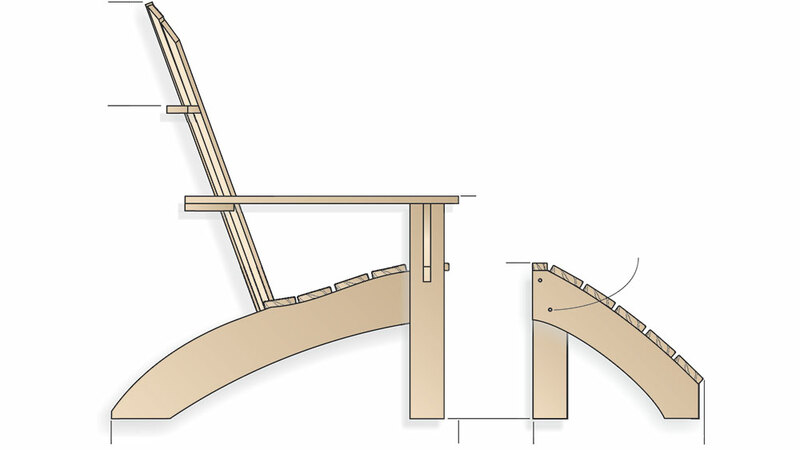 A (2) Front Legs 1½×3½×22"
E (2) Corner Blocks 1½×3½×3½"
I (1) Center Slat ¾×3½×33"
J (2) Inner Slats ¾×3½×32½"
K (2) Outer Slats ¾×3½×30¾"
M (4) Seat Slats ¾×3½×22"
*Cut a blank to this size then cut the finished shape (according to the appropriate pattern) from the blank. 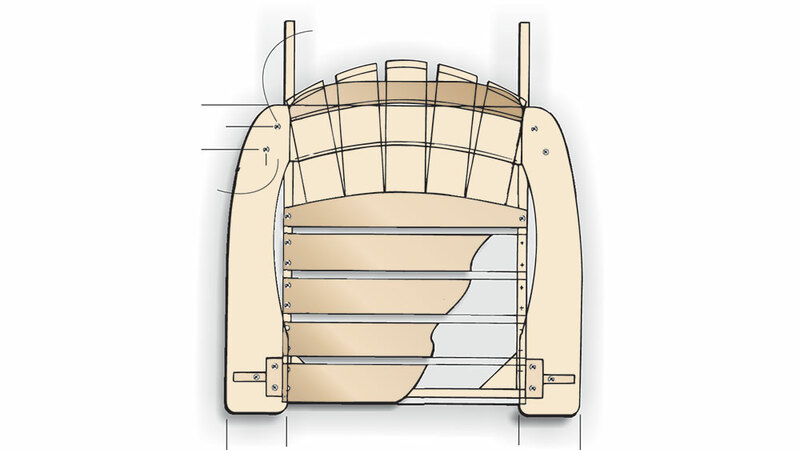 For step-by-step instructions, cutting patterns and more detailed diagrams online at GardenGateSpecials.com.